The case of Paul Jonson is similar to that of LAW secretary Stan Keable, who was sacked from his job at Hammersmith & Fulham council. The witch hunt has clearly permeated all areas of society – most worryingly the workplace. This has serious financial consequences for our comrades, which is why we hope you will speak out and pass these motions agains the sacking of Paul Jonson and Stan Keable in your Labour and union branches. There will be a Dudley PSC silent protest at another Ian Austin MP surgery at 5 pm Friday December 7, Dudley Library St James’ Road, Dudley, saying “Free Speech on Palestine”. Please go along if you can! Click here to read Paul’s statement, explaining his case. Defend trade unionists’ right to free speech! Defend employment rights! Paul, a community safety officer in Dudley and a member of Unison, has been suspended by his employer, Dudley Council. According to a report in the local press, Paul was suspended by Dudley Council for a Facebook post stating “Stand up for Palestine – Israel is a racist endeavor”. Paul is a long-standing anti-racist activist and campaigner against antisemitism and all forms of racism. He is also an active campaigner for Palestinian rights. Whatever one’s views on Israel or the nature of the Israeli state and its founding, there is nothing antisemitic about this statement. Paul’s suspension is an attack on every trade unionist’s right to engage in political and human rights’ campaigns outside work; it is an attack on employees’ right to freedom speech and specifically an attack on the right to campaign over Palestinian rights. The complaint against Paul cited the controversial International Holocaust Remembrance Alliance (IHRA) definition of antisemitism. According to the IHRA’s own website, the “working definition” has no legal standing. This has been further confirmed in a robust legal opinion by Hugh Tomlinson QC, (see http://bit.ly/TomlinsonOpinion ). The Ihra definition and examples have also bee subject to a thorough examination of its status and premises by former Appeal Court judge, Stephen Sedley (see http://bit.ly/Sedley-DefiningAntisemitism ). The proponents of the IHRA definition repeatedly gave assurances that it could not be used to suppress free speech on Israel and Palestine. These assurances appear to be empty in Paul Jonson’s case. 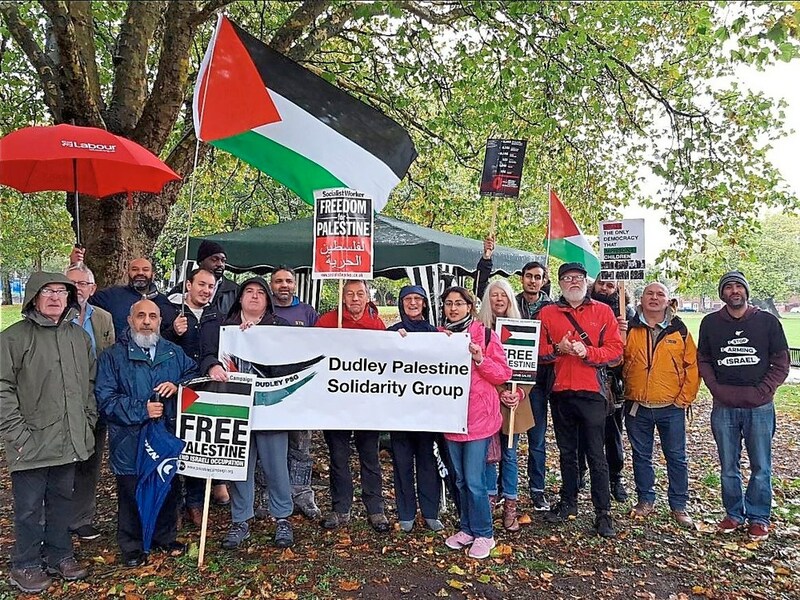 We are calling on all trade unionists and campaigners, whatever their views on Israel and Palestine, to sign this statement to demand Paul’s immediate reinstatement and that any disciplinary action by Dudley Council against him be dropped. Tomlinson, Hugh, 2017. In the matter of the adoption and potential application of the International Holocaust Remembrance Alliance working definition of antisemitism. Legal Opinion, Hugh Tomlinson, QC, Matrix Chambers, 8 March. Sedley, Stephen, 2017. “Defining Antisemitism”, London Review of Books, Vol 39, No.9, 4 May.